We almost didn’t go to Rome. I wanted more time in the riviera and had been to Rome when I backpacked with my girlfriends in college. 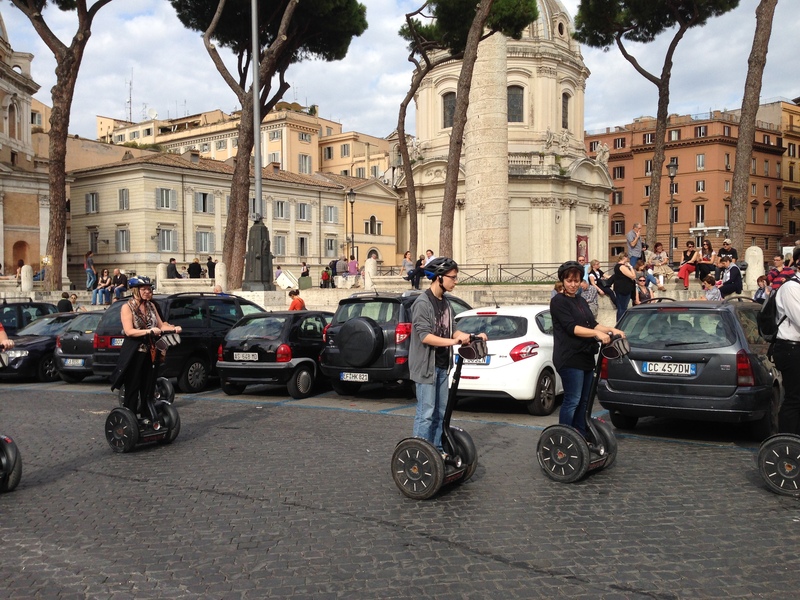 But then we decided we couldn’t be this close and NOT let Eric experience Rome. So glad we did. We rented a cheap apartment near the train station and learned the lesson of “you get what you pay for”. It’s one redeeming quality was the location and we walked every inch of Rome in our 3 nights there. We had an incredible time eating, drinking, sight seeing, brushing up on some history, eating….eating… I’ll even admit to renting Gladiator and watching it in bed one night after visiting the Colosseum. When in Rome! I have a thing for doors. Stay: In Trastevere or nearby if you can. We LOVED this neighborhood and walked 30 minutes several days to have lunch and dinner there. Or near the Termini for location if you want to be central, just don’t stay where we did. And if you’re REALLY baller, like my friends Asif & Kiran, you stay at the Hotel Hassler above the Spanish Steps. Carciofi alla giudìa in the Roman Ghetto at La Taverna del Ghetto or any of the places next door. Pizza and Spaghetti Carbonara at Ristorante Arco di S. Calisto in Trastavere. Party in my mouth. Potato pizza to go at Pizzeria Tavola Calda (hole in the wall) near the Pantheon. With your back to the Pantheon, turn right up the main drag alongside the right of the Pantheon. End of the street on your left. DLISH! Thanks for the tip Kaitlin! TIP: Rome has a 3€ tax in any restaurant once you sit down. Getting pizza to go and eating on the street or monument were some of our favorite meals! Drink: At A-K bar in Trastevere. Funky, cozy atmosphere, friendly bartenders and hip local scene. Live music sometimes. Get Inspired: By this gorgeous Roman Travel Guide, I did. Dying at the priest of the month calendar!